Combine prunes, raisins, and apricots in a 3-quart saucepan. Add water to cover, about 3 cups. Bring to boil and simmer gently for 30 minutes. Meanwhile, bring 2 cups water to a boil in a small saucepan. Stir in the tapioca and simmer for 10 minutes while mixture thickens. When the fruit is softened, add the cooked, thickened tapioca, lemon juice. Apple cider, vinegar, sugar and the cinnamon stick. This mixture will thicken as it cools. If the soup seems a little thick, you can add more water or cider to adjust both the consistency and the taste. 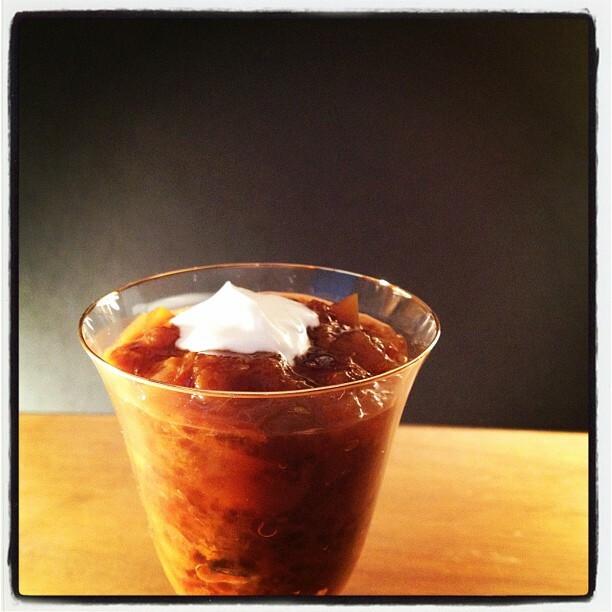 Serve either hot or cold, garnishing with a dollop of whipped cream, plain or vanilla yogurt. +Different traditions as well as varying tastes may dictate the fruit you use. Variations include currants, golden raisins or any of the mixed fruit combinations. +Along with the prunes, raisins and apricots, I’ve used a mixture of fresh apples—½ each red, yellow and green apples. If you do this, you will need a little more than 3 cups of water to cover. ++You can also substitute pineapple juice for the apple cider. +++Fruit naturally has sugar, so you’ll want to taste the soup before you add any sugar. That being understood, you may wish to adjust the ratio of sugar to lemon juice so as not to make this too sweet.